If you want to work out at the comfort of your home, you should consider having your own folding treadmill. 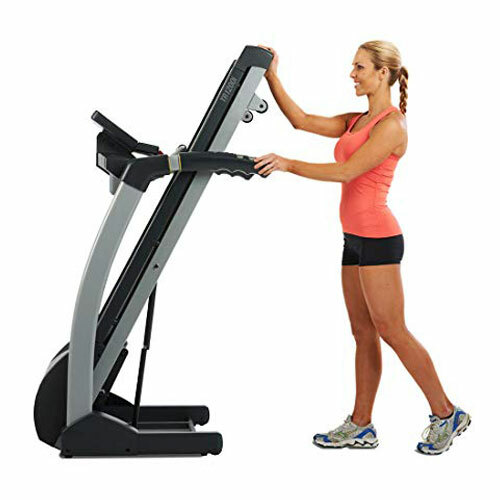 This type of treadmill conserves the floor space, which is the big advantage of choosing a folding treadmill. A folding treadmill is also portable and easy to transport as it has wheels attached in it. This can be heavy, but using the wheels you can unfold and roll it on your next session. As much as possible, you should select models and brands that are durable and provides innovative features. To ensure that you can use it for long time, make sure to choose a best folding treadmill that has sturdy and reliable frame. Even if you will use it at home, but you should not take for granted the reliability and convenience. The LifeSpan TR1200i Folding Treadmill is one of the popular folding treadmills in the market today. It is an ideal home treadmill packed with various workout options. This LifeSpan treadmill has built-in speakers that allows you to use MP3 while working out. It provides ample programming designed for excellent workout. The trainee can choose the appropriate intensity levels. It has good belt quality that supports cushioned deck and shock absorbed. The powerful motor allows long jogs and does not stutter when switching the speed. The built-in audio entertainment makes your workout more fun. It has data storage that saves all the workout data such as the heart rate, calorie burn, and others. The drawback of this folding treadmill is that it does not have built-in fan. 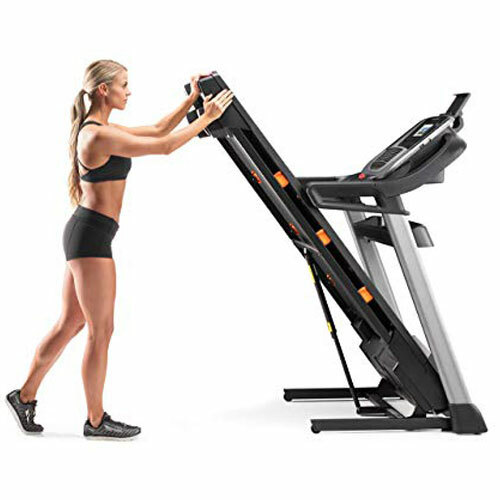 The LifeSpan TR1200i folding treadmill is a smart buy that is worth its price. 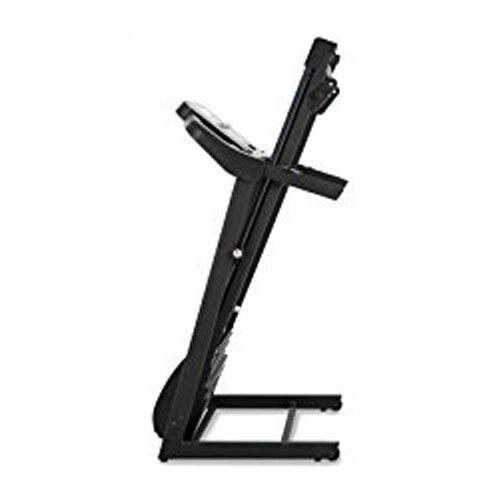 It is an excellent addition to your home gym that saves your time going to a gym. The various programmed workouts will give you an experience just like working out in a gym. If you're looking for a treadmill that will provide an enjoyable and entertaining workout, you should consider the NordicTrack C990 treadmill. It has built-in tablet holder so that you can stay connected to the social media while exercising. You can also plug-in your mobile device to the treadmill, thus allows you to play your favorite music. The treadmill has 32 programmed workouts that help to burn fat and ensure cardiovascular fitness. It is also iFit capable that provides additional workout capabilities such as simulating running terrain. The NordicTrack C990 operates through a 3.0 HP motor and other internal features like superb insulation, quiet performance, and dual fans. You can run in a 12% incline at 12mph. It is easy to operate this treadmill because it is equipped with one-touch controls. This means that the user can switch between incline and speeds within seconds without disturbing your focus. The running surface is 20 x 60 with FlexSelect cushioning system that prevents stress on your hips, ankles, and knees. It provides various workout applications that include endurance, speed, and weight loss goals. iFit enabled thus allows the user to track the performance, customized workout programs, and compete in treadmill races. Easy to read the details at any angle due to the 7” backlit LED console. It has built-in InterMix Acoustics sound system that allows the user to enjoy the music while running. Users have been complaining about the heart rate monitor that does not include a chest strap. The NordicTrack C990 treadmill can be the perfect workout buddy is you want to achieve muscle toning and cardio training. The Weslo Cadence G 5.9 treadmill is a workout equipment that is an entry level and one of the best choose for home use. It is cheaper than other brands, but it also offers a lot of features. It allows you to perform at least six programmed workouts designed for intensity training and weight loss. Aside from the folding design, it also boasts being ergonomic due to the Comfort Cell Cushioning. It can sustain even a lot of heavy use as it runs with a high-quality motor. However, this treadmill is not designed for running, but only for walking because of the limited track size, low horsepower, and speed. It operates with 2.25 HP motor and 10 mph top speed. It has built-in workout programs designed by a certified trainer. Cost-effective worthy for its features. Does not require big space when in use and lesser space for storage. The treadmill track is small, thus restricts the stride. Some users complain about the noisy operation due to the thin treadmill belt moving over small rollers. In spite of its size, the Weslo Cadence G 5.9 treadmill is a good buy ideal for beginners. The features and components of this treadmill work well for daily exercising. What makes it appealing is the compact frame and its low price. If you're looking for a quality yet cost-friendly treadmill, the ProForm Performance 400i treadmill is a good option. It boasts the Bluetooth-enabled console that allows the user to utilize a tablet computer while working out. It also has an iFit display technology that controls the inclination and speed of the treadmill. The good thing about the ProForm treadmill is that it offers 25-year motor warranty and lifetime frame warranty. It operates on a 2.5 CHP motor that enables quiet operation and consistent output. It runs up to 10 mph and 10% inclination. This treadmill comes with 18 built-in programs designed to improve cardiovascular fitness and to burn fat. You will surely enjoy your workout as you can play your own music by connecting your iPod to the built-in speakers. The track measures 55” making it a space saver treadmill. It is a good choice for shorter joggers and walkers. It has built-in programmed workouts with different interval training and tempo. It does not use up big floor space while in use and even in storage. The automated ramp is perfect to burn more calories quickly as it targets the different group of muscles. It has built-in ProShox cushioning to prevent stress on the joints. It does not have built-in workout fan. The size of the track is too short. The motor warranty is limited as compared to other brands. The construction and design of the ProForm Performance 400i treadmill will allow for long time use. Considering its low cost, this treadmill is worth the cost. However, it is not recommended for those who perform the extreme workout. Are you looking for a home treadmill that is budget-friendly? The Xterra TR150 is one of the best options. IN spite of being an entry level treadmill, you can use it at the comfort of your home whenever you want to walk, run, or jog. It is perfect for increasing stamina and strength and burning calories to make you healthier. This treadmill combines the performance and quality you desire ensuring the flexibility of the machine. It is specifically designed for home use, yet constructed with features with comfort and performance in mind. It is cost-effective making it ideal for those in limited budget. The folding frames design helps to maximie the living space. Easy to fold by simply pushing the hydraulics. It motivates the user to workout regularly due to the attractive designs. It operates silently made possible by the two-ply exercise belts. The motor has lifetime warranties. Easy to operate controls and power incline. The heart rate monitoring and adjustable cushioning makes it ideal for workout. It requires typical maintenance such as track lubrication for every 18 miles usage. Needs occasional tightening of belt to ensure that it will operate smoothly. The construction of XTERRA TR150 is solid not to mention the compact design. It is easy to assemble and the features are tailored for effective home workout. It has different workout programs, thus eliminate boredom throughout the workout. Considering the design and features, we can say that it is all worth the cost. A home treadmill gives you the opportunity to exercise or work out without going to the gym. Buying a home treadmill is an investment, but it can be a great addition to your home gym. Prior to making your decision to buy a foldable treadmill, it’s important to consider some factors that will guide you in making the right choice. The primary consideration in buying any home fitness equipment is the budget. This is also applicable if you will buy a home treadmill. If you want to buy a high-quality treadmill, you need to prepare a big amount of money. The cost of a home treadmill ranges from $1,000 to $3,000. But, it depends on the motor capacity, workout options, and stability. You may find a low-cost treadmill, but it does not guarantee to last for a long time. The capacity of the motor or the horsepower delivered plays a great role in determining the quality of the treadmill. If you don’t have any idea about the horsepower, it would be safe if you will choose a continuous duty motor with a minimum capacity of 1.5 horsepower. But, if you will use the treadmill frequently, you should invest in a treadmill that has 2.5 to 3.0 horsepower. Likewise, the choice of the motor also depends on your weight. The average size of a treadmill is 77 inches by 35 inches wide. Once it is folded, the size is half of its length. Thus, you should choose a size putting into consideration the safety and access. You will be motivated to use the treadmill if it is packed with high-tech features. It should have USB ports, docks for iPods, wireless Internet connectivity, and Bluetooth. If you will use the treadmill to run, choose the track that can accommodate your stride. But, make sure that you are comfortable while running or walking on the machine. The aesthetics and ergonomics of the machine should be considered when buying a treadmill. The speed and incline of the treadmill greatly affect the performance. 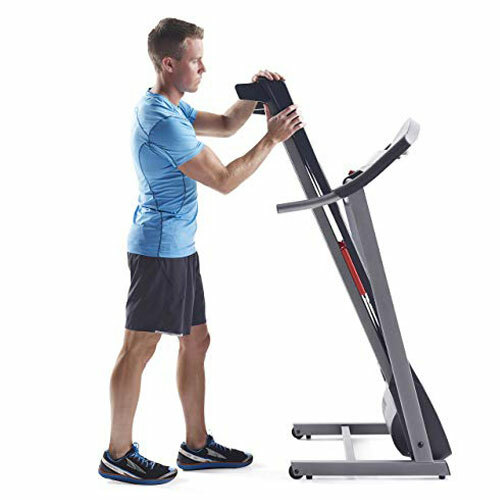 With this, you should choose a foldable treadmill that easily adjusts to the speed and incline of your choice without distracting your workout. To determine the stability of the treadmill, make sure to try it before making your purchase. See to it that it does not shake when you walk or run. Other things to consider when buying a home treadmill are the delivery, warranty, and set-up. Obviously, if the manufacturer offers a long-time warranty, it only shows that the machine is of high-quality. Thus, you should choose the one that offers a lifetime warranty. The delivery cost may add burden to your pocket. With this, you need to negotiate that the delivery fee must be included in the total cost of the machine. As much as possible, you should let the representative of the seller to set-up the treadmill. But, it should not require a separate fee. Treadmills are among the popular exercise equipment not only at gyms but also at homes. Each brand of treadmill discussed above has its own set of features and other factors that make it on the edge over the other. 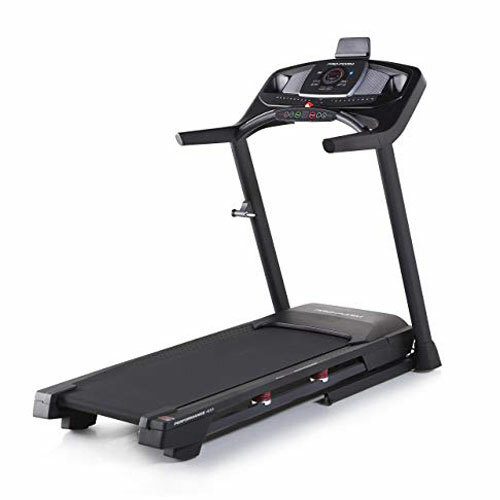 In buying a foldable or home treadmill, you should take time doing research and reading reviews so that you’ll know how it will work. Do not settle only for a good machine, but it should be the best. As long as you know the factors you should look for in a treadmill, you can ensure making a good choice and a sound decision. As you want to be in good shape, you should ensure to choose the one that can provide all your workout preferences. Select the one that can offer the combination of functionality, ease of use, and affordability.